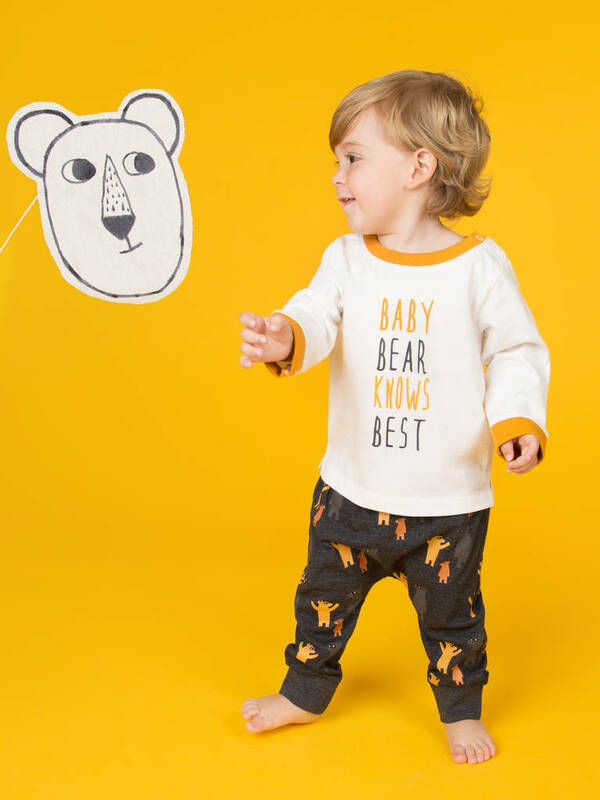 This organic cotton Where's Bear Harem Joggers in soft autumnal colours make an ideal gift for any baby shower, new baby, or birthday gift. All of our products are made to keep buyer, baby and the planet happy. We use 100% GOTS certified organic cotton and all our baby and toddler clothing is ethically and sustainably sourced. 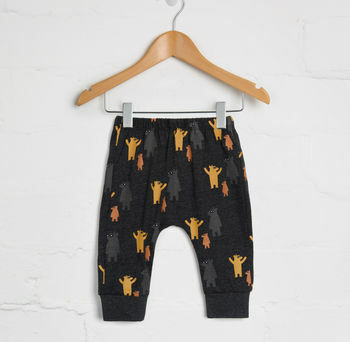 Three little bears go wandering all around the earthy charcoal base of these cotton harem joggers. Two peeking out in warm orange Autumn tones and one hiding in stripes. Can you spot him? The gorgeous print is perfect for Winter jogger for baby boys, with an elasticated waistband for easy dressing, thick ankle ribbing to keep the warmth in, a comfortable harem style and soft organic cotton. 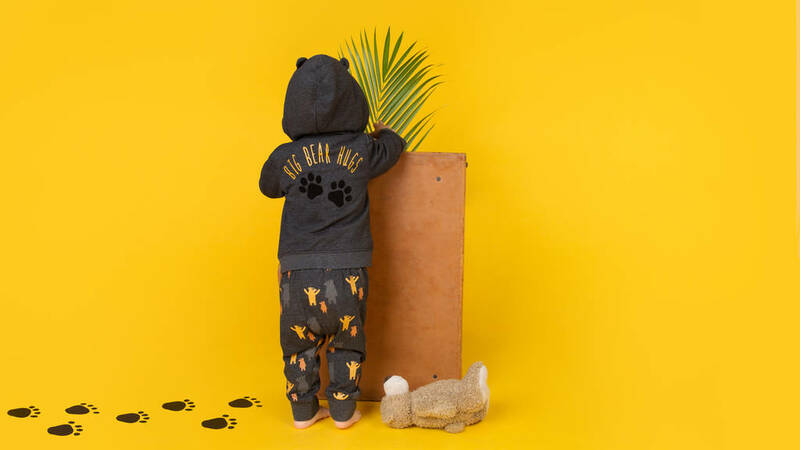 Match it with our zip-up bear hoodie for an irresistibly cute outfit.